Home / "Hardly A Satisfactory Conclusion"
In the Gospel lesson for today we are told that in the first light of dawn Mary Magdalene, and Mary the mother of James and Salome, journeyed to the place where Jesus was buried. They arrive to discover that the great stone, covering the tomb has been rolled away. Entering, they find, not the dead body of their messiah, but the living figure of a young man, who tells them that Jesus has been raised. And the Gospel tells us that terror and amazement seize the women, and they say nothing to anyone, for they are afraid. And this, we are told, is the Gospel. The Good News. No. You are not imagining things. This is not some cruel April Fool’s joke—even though the calendar reads April 1st. The Gospel on the Sunday of the Resurrection includes no appearance by Jesus, the Savior of the World, and not even an exclamation of joy. Instead, we are confronted with confusion and fear and a brief statement that the women said nothing to anyone for they were afraid. There’s nary an Alleluia in sight. Indeed, most biblical scholars, they believe that the Gospel of Mark ends right here, at verse 8a of Chapter Sixteen—with a conjunction, no less—but we’ll come to that, a bit later. In fact, the ending of today’s Gospel lesson is as bad as the ending to the movie Gone With the Wind. * I say this because, anyone who hails from Virginia, bearing the name Melanie—with the middle name Leigh, has every right to criticize this monumental Civil War Opus. I first watched this motion picture when I was about twelve years old. To this day, I recall sitting through four hours of film and wondering how on earth this story could possibly be resolved. And here’s the kicker—IT WASN’T! By the end, I felt robbed. If you can’t tell, it still rankles. There was no resolution to that four hour epic. 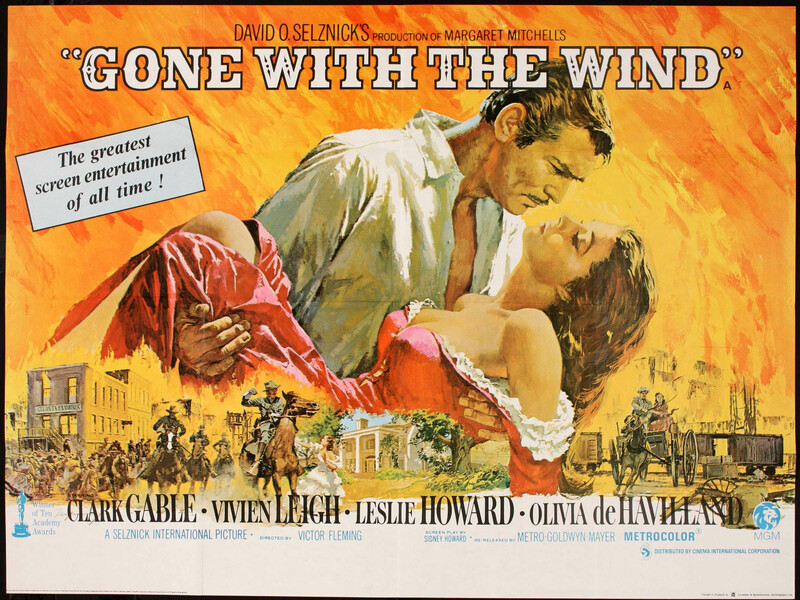 Rhett Butler walks out on Scarlett with the number one movie line of all time: “Frankly, my dear, I don’t give a damn.” And after much weeping and scrabbling about on the stairs a resolute Scarlett proclaims through a misty haze of tears: “I’ll find some way to get him back. After all, tomorrow is another day.” That’s not a resolution. Rhett has walked out, Yankee Carpet Baggers are knocking on the doors of Tara, and we haven’t a clue as to what will become of Scarlett! This is not satisfactory. We have no idea what happens next. All we know is that Scarlett goes on. If I were to imagine, I would say that Mary Magdalene, Mary, the mother of James and Salome would more than likely nod their heads in agreement and proclaim “Isn’t that the truth.” The resurrection does not come to us today in some neatly wrapped package with a tidy conclusion. It is a mystery, defying comprehension. Before it is good news, it comes to us as a fearful, bewildering thing. Before we know it as joy, we first must contend with confusion, terror and dread. It takes time for the Good News to sink in. That was true enough for the women at the tomb. I believe it is also true of us. There are those who suggest that belief in the resurrection is little more than wishful thinking; that it is something akin to a bedtime story or a fairy tale told in order to enable us to sleep soundly at night when the anxiety of the unknown causes us to tremble. I don’t believe so—not for a moment. To accept that there is something else—a life promised to us beyond that which we are given—takes a degree of will. It takes determination, a desire to seek out and know God. It takes a substantial degree of humility, trust and wonder, as well as a decision (a conscious choice) to live in faith and with hope. And this is what brings us back to Mary Magdalene, Mary, the mother of James and Salome, whose meager expectations were simply to anoint the dead body of the slain messiah. Their hope, that Easter morning, was limited to providing this one comfort to a dead friend. These women, they weren’t looking beyond the tomb. Yet, what was offered them that Easter morning was an open door. An opportunity to peer inside—and behold—what? Not the body of Jesus, but something more…something that caused their feet to take flight, to carry them back to the disciples, where the story didn’t end—where it wasn’t resolved with a neatly packaged ending—but where it continued. And this is what brings us back to the Biblical Scholars who believe that the Gospel of Mark concludes, not with verse 20 of chapter sixteen, but with verse 8a. “And they said nothing to anyone, for they were afraid.” The Greek word ending the sentence is a conjunction which can be translated either as “For” or “However.” Now, whether you speak English or Greek—all of know this. No one, absolutely no one, ends a sentence with the word “However.” So, another rendering of verse 8a of chapter 16 could be translated: “So they went out and fled from the tomb, in terror and amazement; HOWEVER…” Who does that? It’s like the ending of the movie “Gone with the Wind”—it just leaves you hanging----the audience is sitting there with their mouths gaping open, waiting for the next line, the resolution—if you will. And so, you sit there in frustration, until you realize this: That story, in the Gospel, The story, Our story doesn’t end. In truth, it’s not meant to end. You see, it’s yours. You carry that ending forward. Surprise, YOU are the end of the story. Melanie, Cheryl, Andrea, Joe, Mark, Peter, Marcia, Nancy---WE carry the story forward to the next generation. That story doesn’t end because it is ours and afterwards it will be someone else’s—because good news like this isn’t meant only for some, but for all of us; for all peoples and for all ages. That’s the mystery, the miracle, and the awesome nature of our redeeming God. And that, my friends, is Good News. It was Good News 2,000 years ago, and the remarkable thing is, it’s still mysterious and wondrous Good News today. In the name of the Risen Christ. Alleluia. Amen.